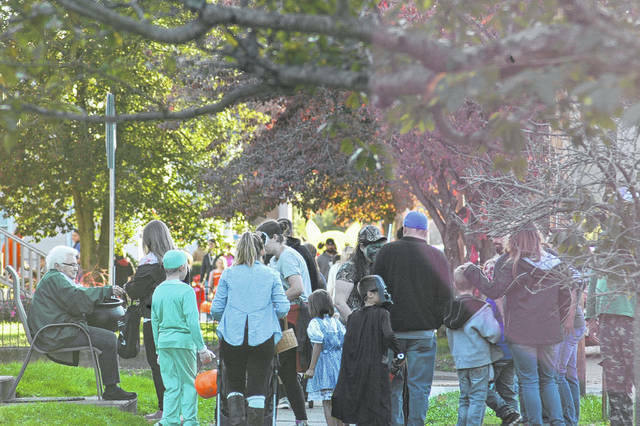 The sidewalks became hard to navigate as they filled with families and children in search of the next source of candy in Gallipolis. 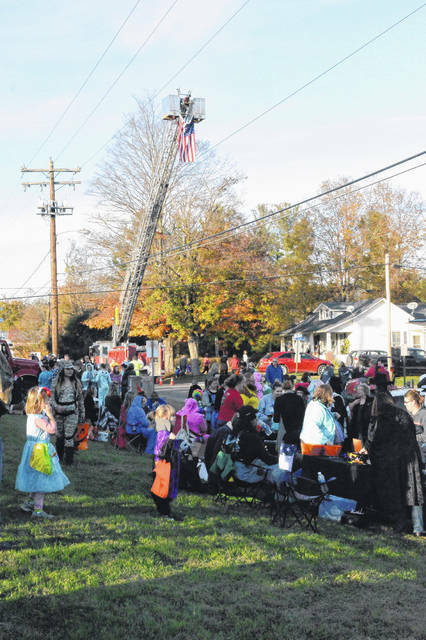 Gallipolis Police Department partnered with the Elks Lodge to pass out candy and promote drug abuse prevention. 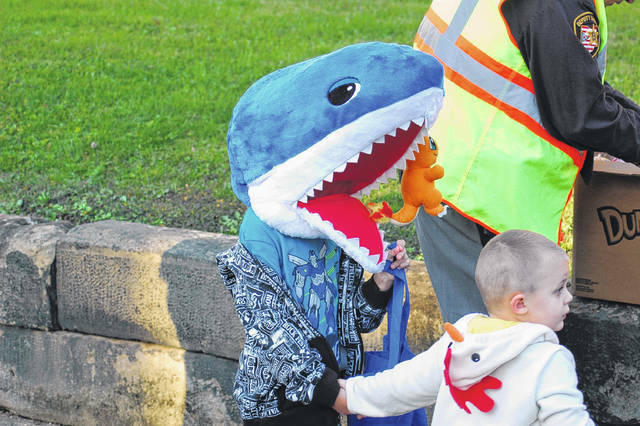 Many costumes were unique, ranging from the traditional ghosts and goblins to the shark heads and inflatable dinosaurs. 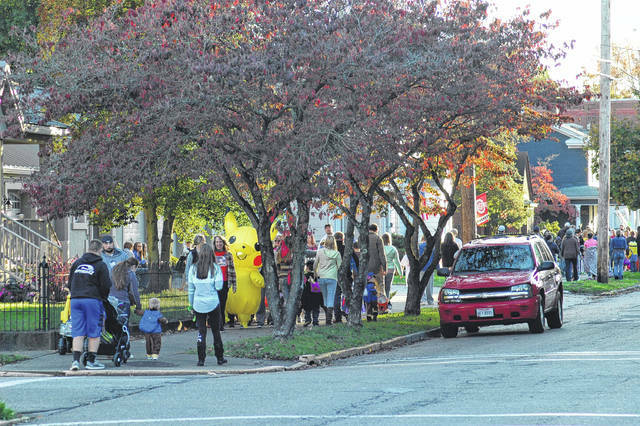 Most of the foot traffic remained near the city park and surrounding blocks. Deputy Frazier has been a longtime member of the community as a police officer. 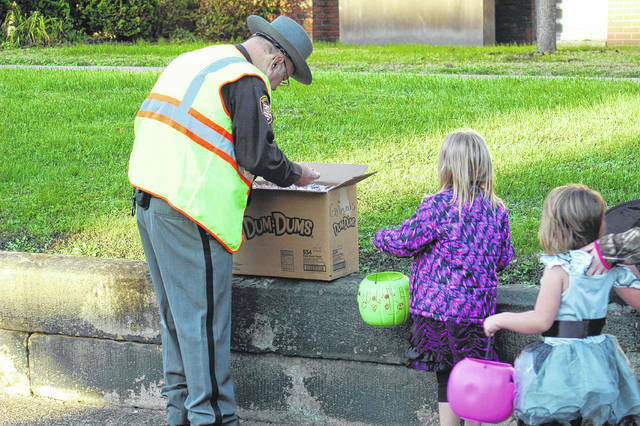 He volunteered his time Thursday to pass out candy for the Sheriff’s Office. 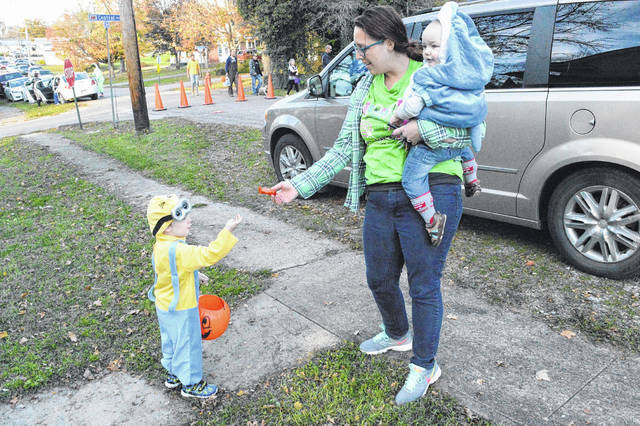 One mother passes off some candy to her minion son. 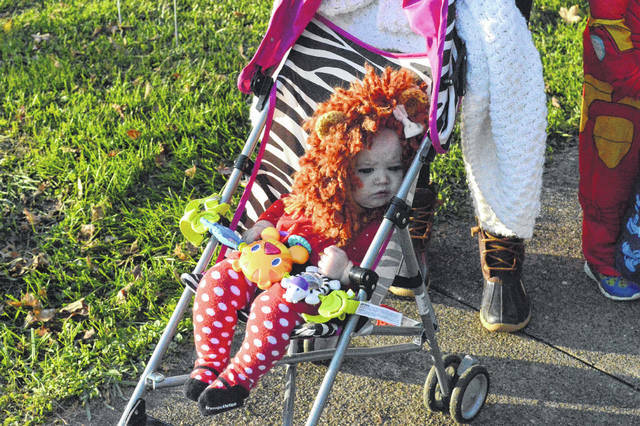 A little lion cub turns her eyes away from the brightness of the setting sun. 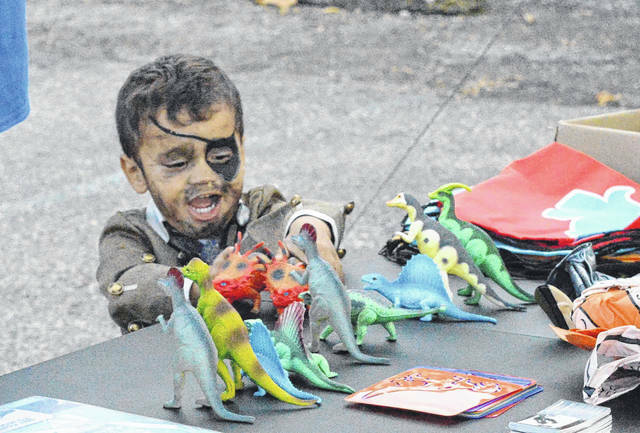 Dinosaurs are an uncommon threat on the high seas this young pirate observes. 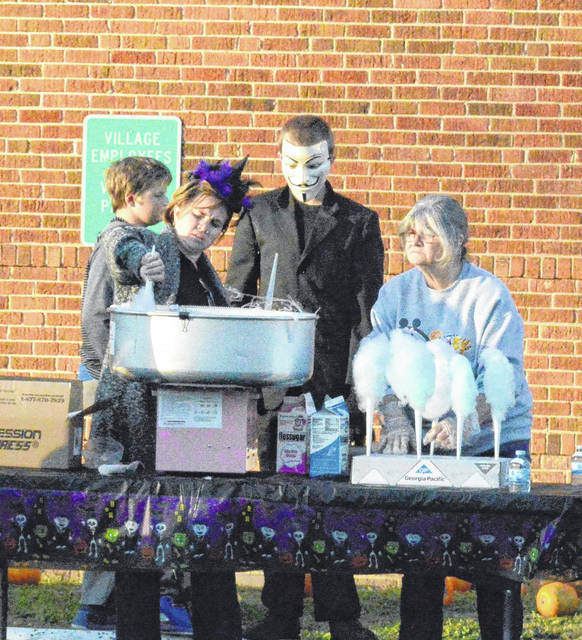 Cotton candy was just one of the many treats served in Rio Grande during Thursday’s’s Halloween celebration. 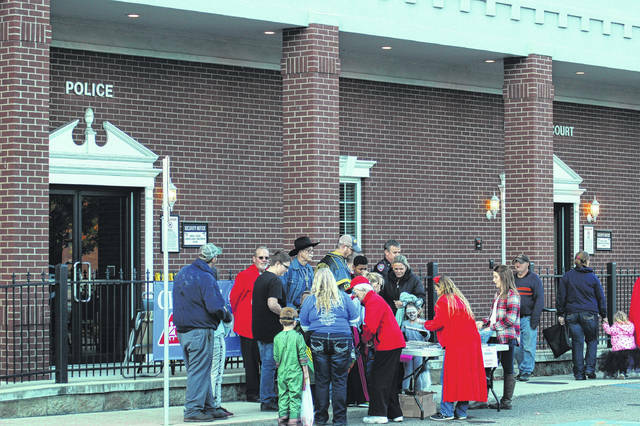 A few hundred gather in front of the municipal building in Rio Grande as part of the evening’s festivities.